We inherited a hundred of Olive trees. 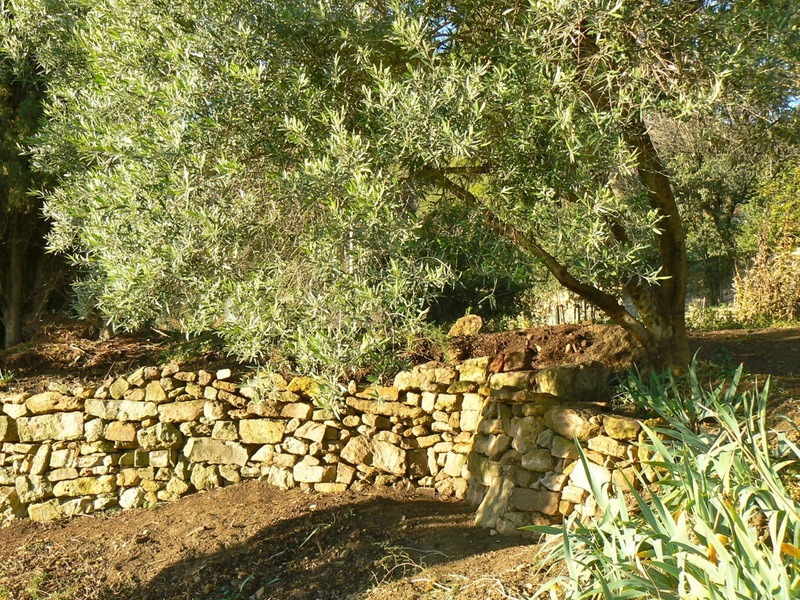 This old olive grove covered a whole terrace behind the main house and we are restructuring it over the years, some olive trees still have the marks of the terrible winter, 1956. This year, most of them froze and started again around this dead trunck. Young plans are transplanted for 3 years. 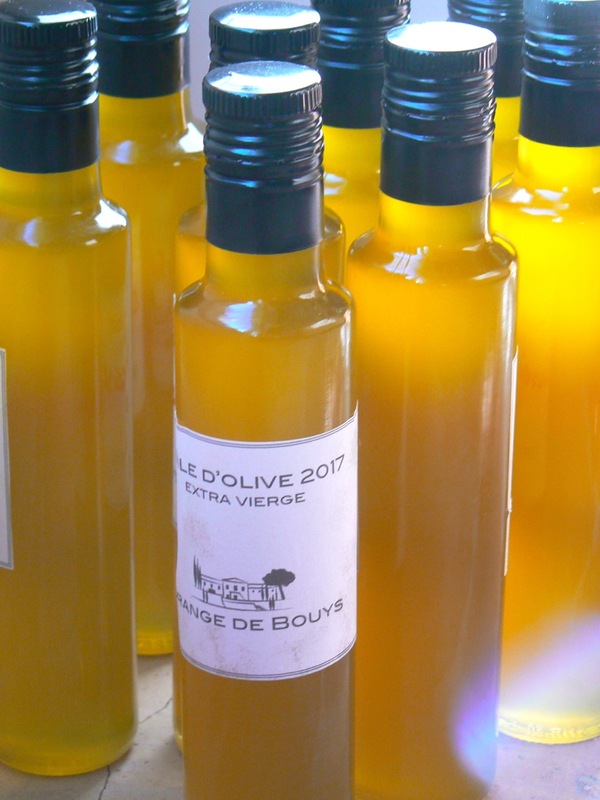 We have different varieties: Picholine, Olivière, Lucques, Aglandau, Clermontaise, Olivière, Verdale... Our harvest of table olives with Lucques is reserved for our personal consumption. 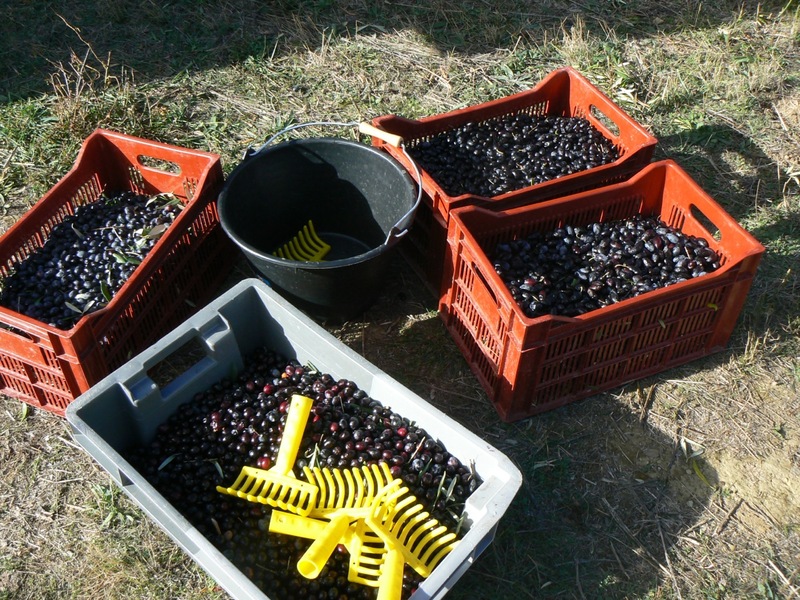 Our production of olive oil fluctuates according to the drought and the attacks repeated by the fly of the olive tree. 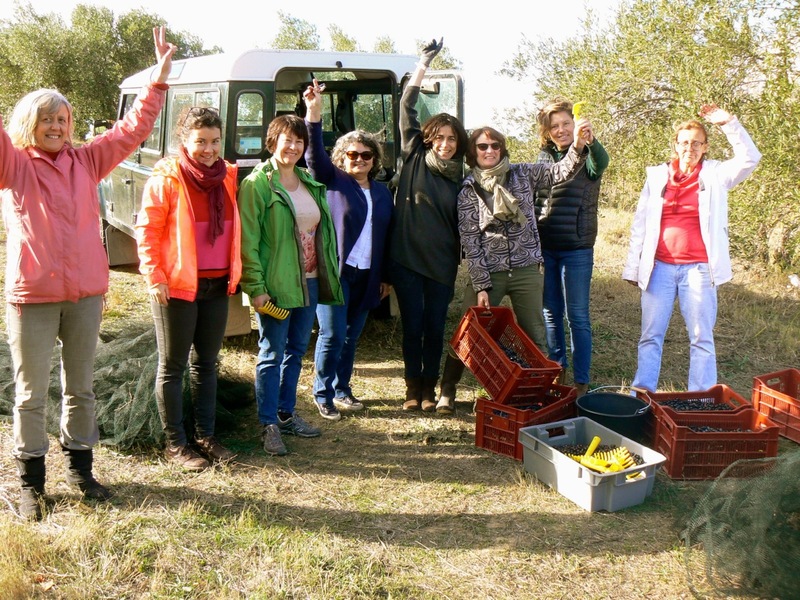 The harvest of olives is a very friendly period: friends' visits and numerous guests around the table.